The Make Up Artist I used for my wedding first recommend MAC Blot Powder to me. At my trial she suggested a few things I should buy to use throughout the day and Blot Powder was one. This was a few years ago now and to be honest I wasn't really interested in make up then. But I dutifully trotted off to Selfridges and bought the powder. To be honest I don't recall whether I actually got round to using it on my wedding day - as I said I wasn't really into make up back then and I was too busy enjoying myself to care about a shiny nose! So after the wedding it was relegated to the back of a drawer - I even recall considering throwing it out a few years ago... Thank goodness I didn't!! Over the past couple of years I have become quite a make up hoarder and addict, I love to read blogger recommendations and try new things. 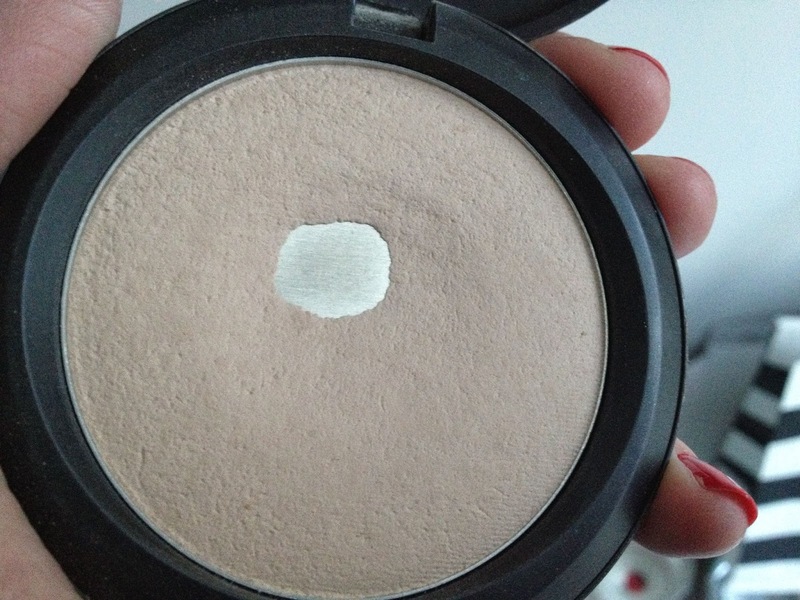 My love of MAC products is no secret, and I started to notice Blot Powder cropping up in reviews over and over again. So I dug it out of its resting place and gave it another go. 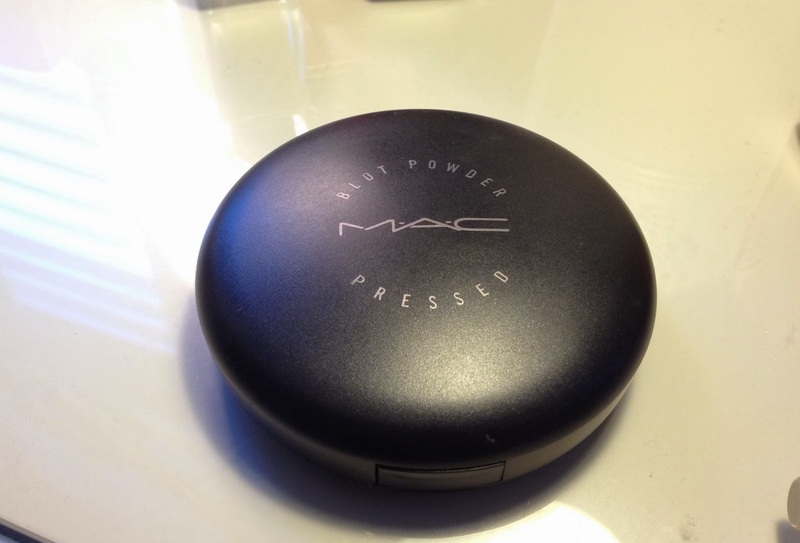 MAC Blot Powder is a pressed powder which comes in a compact, with a mirror and a powder puff. The powder contains mica and silica to absorb the oils on the skin and give that blot effect by stopping the shine. I really only use it on my nose and a little on my forehead - very much just the central T zone. Throughout the day I do find I get a little shiny here and my foundation starts to slip, no matter how well I have primed my skin before application. So I use a very light sweep of blot powder to help keep everything in place. It really does help hold my foundation on my nose. You can also use it to dampen down an over-dewy foundation if you prefer a matte finish (I have certainly done this with my Dr Jart BB Cream which although I like dewy is frankly too shiny). 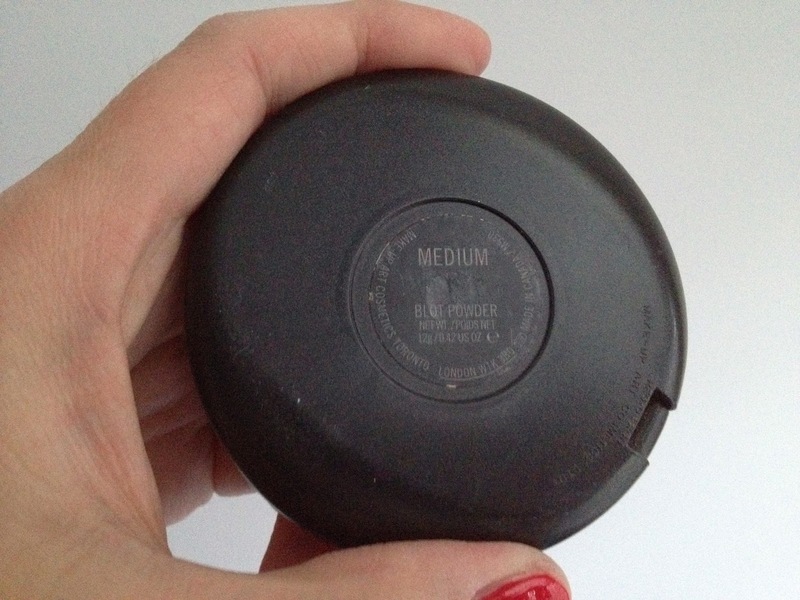 The compact itself is black plastic and clicks shut to keep the contents safe. I don't like using the puff that comes inside it. For a start, I've had mine for a few years now and it looks all dirty covered in powder and reminds me of something from an old lady's handbag. 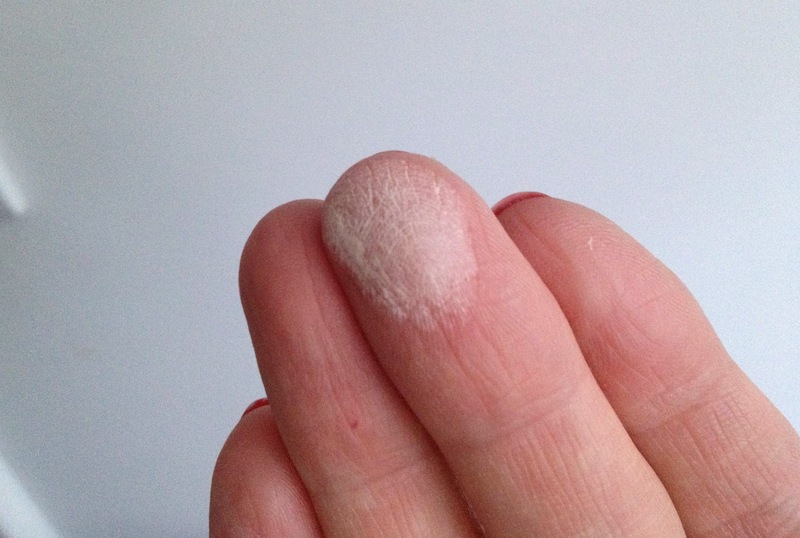 But it also applies too much powder for my liking - which can cling to any dry skin and look cakey. Less is definitely more with this product. A light sweep using a large powder brush does the job. 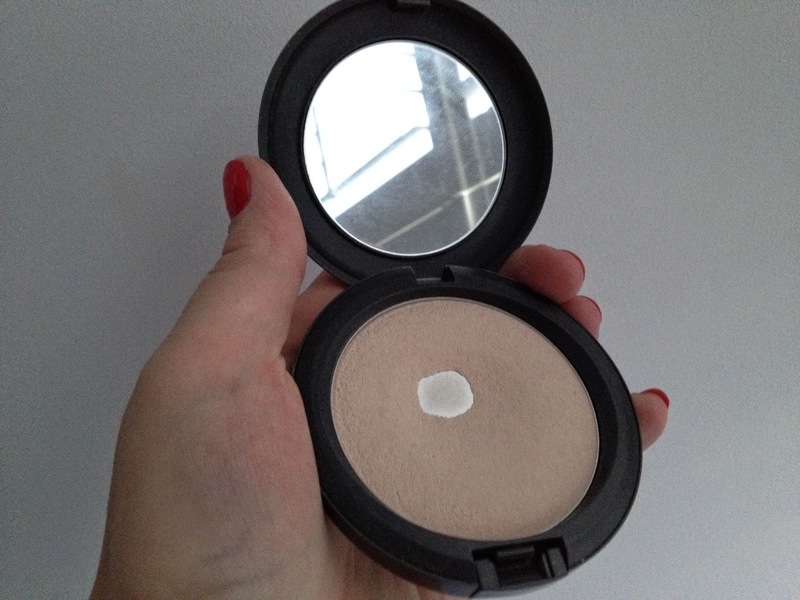 When I started reading beauty blogs I saw a lot of love for Rimmel's Stay Matte Powder - forgetting that I had MAC Blot Powder lurking in a drawer I bought the Rimmel one. It is ok, but not as effective as the MAC one, also the packaging is terrible and falls open if you have it in a bag. 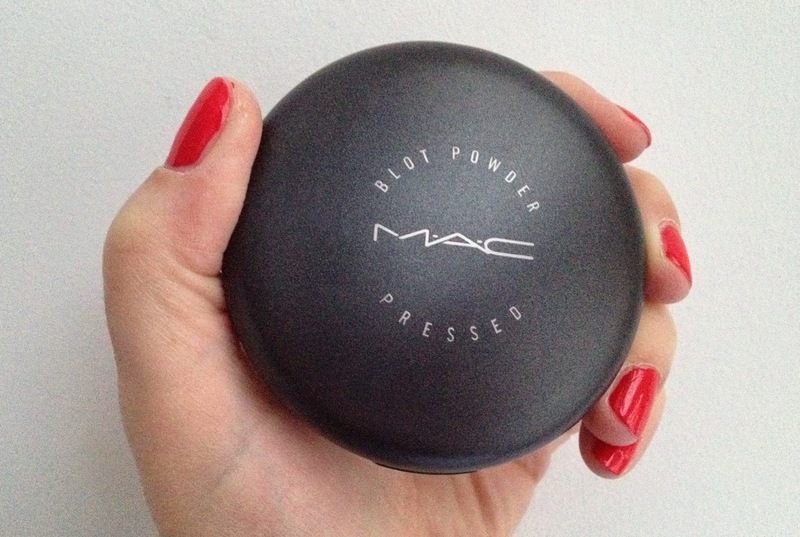 So the MAC Blot Powder compact wins hands down. MAC Blot Powder is also quite a 'solid' powder, so it doesn't throw out lots of dust when you swirl your brush in it. Blot Powder comes in 5 different shades: Light, Medium, Medium Dark, Dark & Deep Dark. To my surprise my make up artist told me to buy Medium. Perhaps I'm not as pale as I think, but I wear B20 in Chanel's Vitalumiere Aqua Foundation (my absolute favourite foundation - see my review and swatches HERE) and Deauville in NARS Sheer Glow Foundation, just to give you an idea for comparison. You can see from the swatch photo that the medium powder is actually quite pale, so I have no idea what the lightest shade would be like! Since I have rediscovered Blot Powder I have made quite a dent in mine and have now hit pan. I know that is one product that I will definitely repurchase when I finish it! MAC Pressed Blot Powder is £20 for 12g HERE (with an offer for £10 a beauty product over £30 when you spend £50) or HERE (with an offer for 10% off when you buy two beauty or fragrance products).